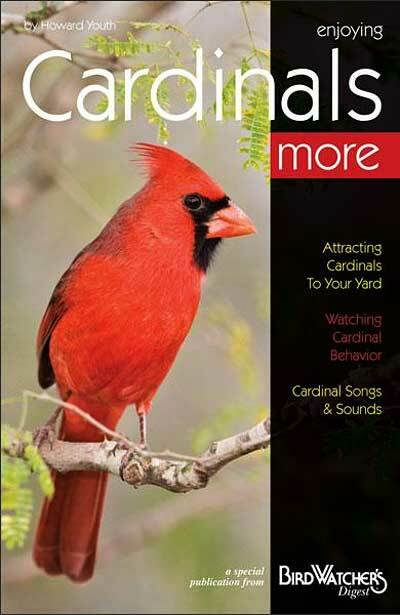 Delve into the world of northern cardinals with the book Enjoying Cardinals More. This guide offers information regarding all aspects of cardinal life. A detailed guide to different behaviors, hints on preferred habitats, and choices for seed and feeders are all discussed in this booklet. Several full color photographs throughout the work illustrate typical cardinal behaviors. The back of the booklet features a question and answer section, for input on frequently asked cardinal questions. Enjoying Cardinals More is a great resource for beginning and experienced birders.